UNITED METAL GALVANIZING SERVICES L.L.C. 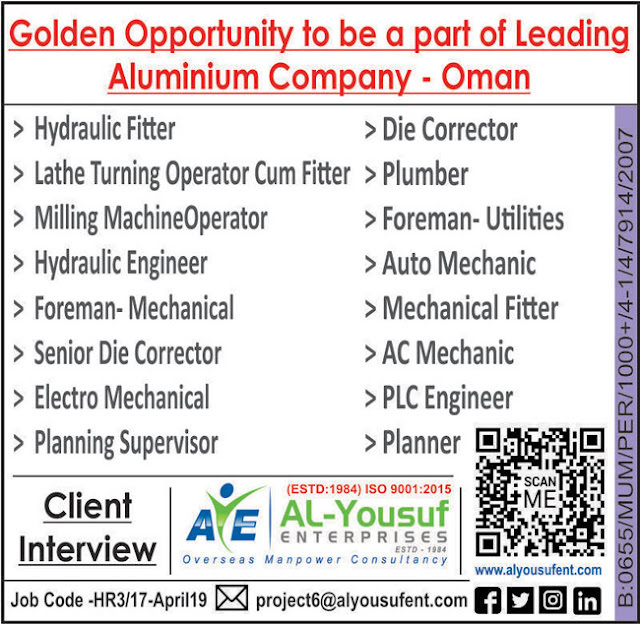 QC Engineer for galvanizing plant (Diploma/Degree in Chemical). Excavator Operators - 25 Nos. Side Boom Operators - 25 Nos. Dozer Operators - 10 Nos. Crane Operators - 10 Nos. Send updated CVs to marketing@al-sharief.com for short listing. 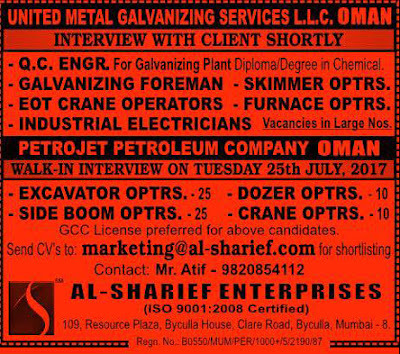 》working as a crane operator&skimming in Union Metal Coating&alloys sharjah. UAE from June 2014 to April 2017. I hereby inform that above information is true to the best of my knowledge.